“Everlasting, gracious, heavenly Father, for my pastor I pray; grant him to speak Thy word with joy, fearlessly against every error, false doctrine, and abuse; that he may declare and make plain to us the mysteries of the Gospel, and remove from our hearts all delusions. Keep him steadfast in the true doctrine and Christian life, that he may be unto us a leader unto everlasting life. Guard his body against sickness, that to our great benefit, he may for a long time go before us and preach Thy divine word without fear or hesitation, without hypocrisy, not of favor, hatred, jealousy, or for self-advantage, but proclaim the truth in all its purity and fullness, and denounce evils as becometh them, that I and many more may be won for Thy kingdom. 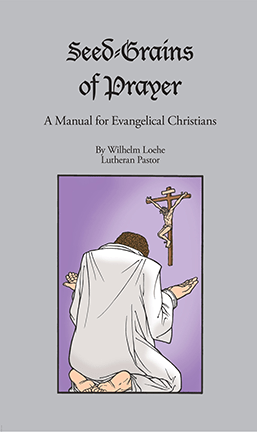 Wilhelm Loehe, Seed-Grains of Prayer, #330. This entry was posted in Latest News and tagged Loehe, Seed Grains of Prayer. Bookmark the permalink.